System Requirements: Pentium processor. Windows 95, 98, ME, NT, 2000, XP, 2003, Vista, Windows 7, Windows 8, Windows 10.. Internet Explorer 5 or higher. 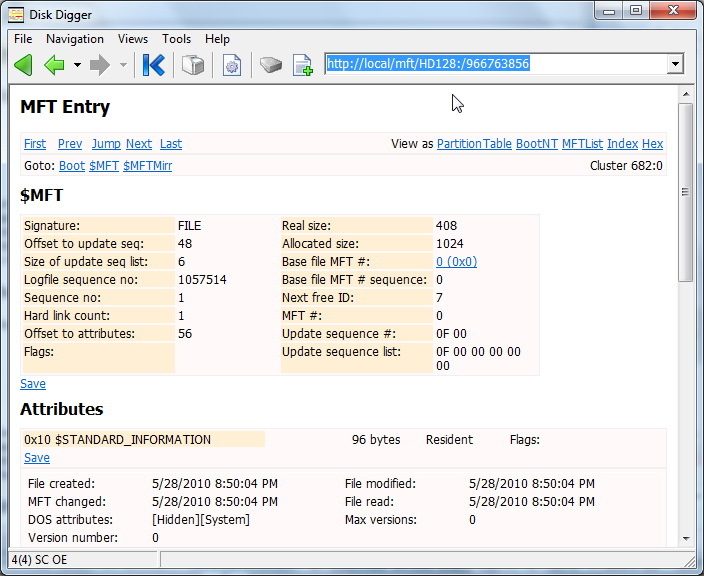 Runtime's Disk Digger lets you inspect and navigate any file system or on-disk structure. Details are displayed in an Internet Explorer window. Disk Digger views are driven by scripts and an integrated script interpreter. The customizable scripts determine what information and how it is displayed. The script language is Pascal, so everybody with knowledge of a higher programming language will be able to modify or create new scripts. These scripts show all relevant data structures, such as partition tables, boot records, and file system specific structures. The level of sophistication of those script goes to the point of you being able to retrieve individual files from the supported file systems. Disk Digger include all the script's source codes. The script editor allows you to quickly make changes to your code and test it immediately. Inside the script editor you can call the debugger and trace through your script, inspecting its flow and variables. The Disk Digger scripts show you how to extract programmatically files from NTFS, FAT, EXT, and XFS. You can use these scripts as a blueprint for customized data recoveries or forensic investigations. With advanced programming skills you can write additional scripts for other file systems or container structures such as backup files, virtualization volumes, encrypted volumes, or surveillance disks. A rich set of build-in commands lets you access and process disks and images files. You could even develop your own data recovery software based on those scripts. Disk Digger is the perfect tool when using a standard recovery software, such as GetDataBack, is not sufficient to accomplish your objective. You can create report scripts for data recovery or forensic purposes that no other software offers. A script interpreter for retrieving and formatting the desired information from the disk or image that is being inspected. An Internet Explorer instance for rendering the script's output to the screen and processing user input. The address bar of the Explorer windows tells the program the drive, sector, and view to be displayed. For example, the address http://local/partition_table/HD128:/0 tells Disk Digger to display the content of sector 0 on the first physical drive (HD128:) using the script partition table. Scripts usually contain many links allowing the user to navigate through the file system as he would navigate a Web site. The usage of Internet Explorer enables you to easily print your windows. You can also save the current view or all visited views into HTML documents. This facilitates documentation of, for example, forensic jobs.